Up the cosy factor on chilly days with our jacket. 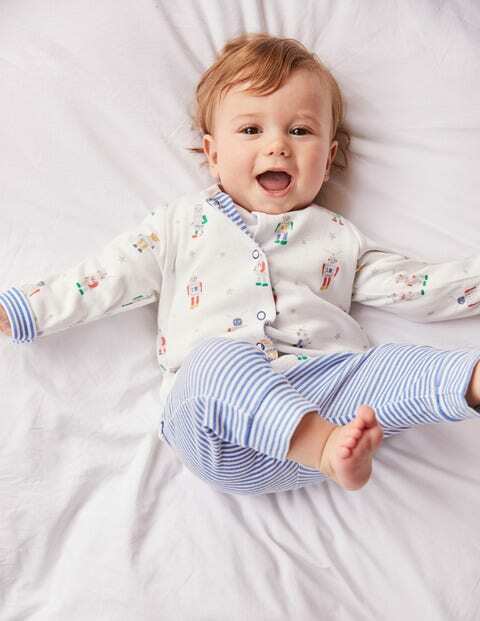 Made from 100% organically grown cotton, it's fully reversible, with an all-over robot pattern on one side and stripes on the other. Can't quite decide? Roll up the sleeves to enjoy both. Poppers down the front make it a piece of cake to put on and take off.